Charleston, SC In an effort to empower children from poor and disadvantaged families overcome stuttering, a Charleston woman has launched a new foundation that is setting out to transform these kids' lives, making them more confident and successful in life. 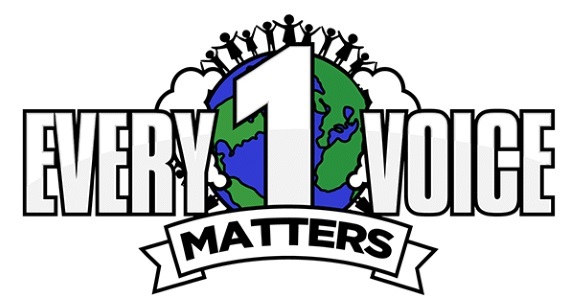 Sherrikka Myers, who grew up stuttering and later overcame it, says Every 1 Voice Matters, a 501(c)3 nonprofit, is designed to initially assist children ages 5 to 10 gain to build self-esteem and confidence. She is partnering with local pathologists, schools and churches to offer children free and low-cost services. She plans on expanding the program to students in middle school and high school. "I remember stuttering as a kid and it was so hard," said Myers, 43, who said her 8-year old grandson stutters. "I remember not being able to speak and being ashamed of who I was. I was bullied, teased and made fun of. It was really hurtful. So, I know what kids go through. And I want to help them live their best lives." In the U.S., more than three million Americans stutter, most of whom are males and about 5 percent of all children stutter for a period of six months or more, according to The Stuttering Foundation. * Stuttering or fluency: Helping kids with stuttering or fluency disorders to find their voice. * Hands-on activities: Providing individual and group therapy, communication skills, mindfulness training, desensitization strategies, educational counseling, life skills building, tutoring, workshops and mentorship. * Speech Assessments: Teaching fluency strategies in small group and individual settings. * Public Speaking: Incorporating public speaking skills in a fun, interactive way to build confidence and self-esteem. "I want each and every one of these children to feel loved, appreciated and confident about who they are," Myers said. "Thank goodness for the family members in my life who stood by me. I'm hoping Every 1 Voice Matters will do that for thousands of children throughout Charleston and the rest of the country over time. My ability to help others who are experiencing what I've gone through is a blessing." * Fluency Techniques: Participants who are receiving speech therapy will learn fluency stabilizing techniques to cope with the psychological aspects of stuttering. Anyone interested in learning more about the program, partnering with the foundation or donating, can go to the website at www.Every1VoiceMatters.org.